The corner of Railway and Main. What a great address, the corner of Railway St. and Main. We are considering this place as the new home for Fast Tracks/Port Kelsey Ry/Tim and Vita and Ron/Well wishers and hangers on. It a pretty neat building, with lots of the original interior that would lend itself well to what we have planned for the future. 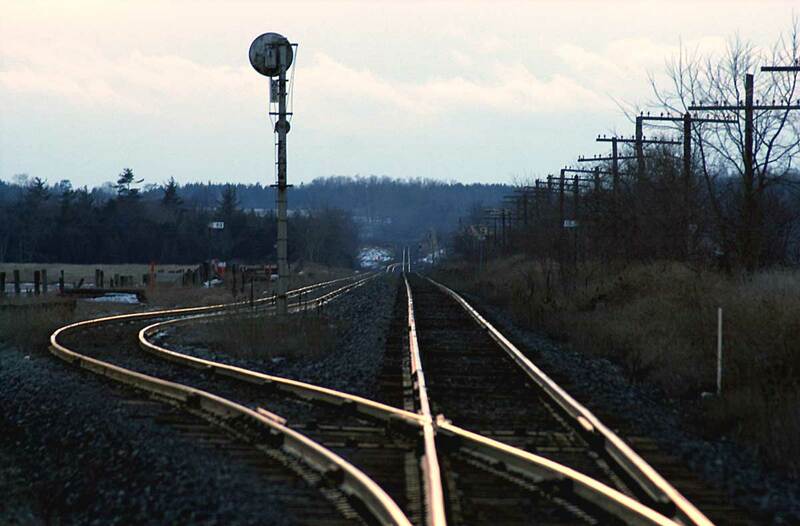 What really makes it great is that it is located next to one of the busiest mainlines in Ontario, which makes it a great train watching spot. Only us train geeks would actually want a place next to the tracks…. 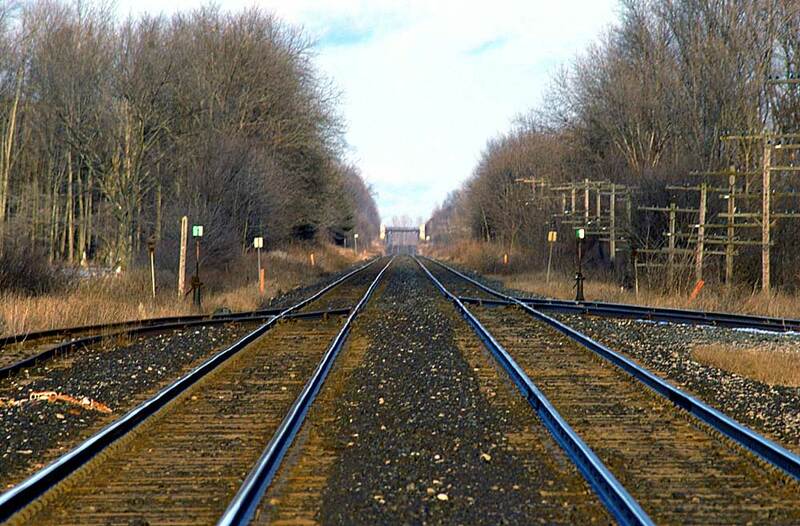 Long shot of the passing siding on Trussler Road in Ayr, Ontario. Took this shot yesterday in Princeton, Ontario. Interesting how the image is almost a mirror of itself.